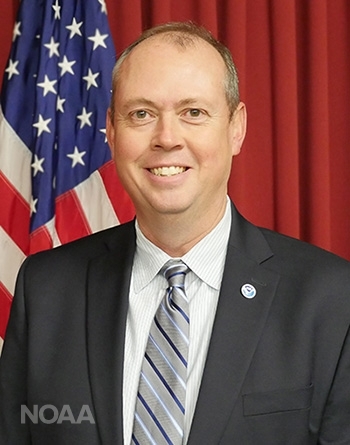 NOAA has selected Kenneth Graham to serve as the next director of NOAA’s National Hurricane Center in Miami, as preparations continue ahead of the 2018 hurricane season, which begins on June 1. He will assume this new role on April 1. Within the U.S. Department of Commerce, the National Hurricane Center is a division of NOAA and the National Weather Service’s National Centers for Environmental Prediction. The Center’s mission is to save lives, mitigate property loss, and improve economic efficiency by issuing the best watches, warnings, forecasts, and analyses of hazardous tropical weather and by increasing understanding of these hazards, enabling communities to be safe from tropical weather threats. The National Hurricane Center is co-located with the National Weather Service Miami-South Florida forecast office on the campus of Florida International University. Ken is a great guy. I shadowed in high school at NWS New Orleans and he was funny and easy to get along with. Very smart and excellent meteorologist who truly deserves this position. What an awesome promotion!!! We'll be seeing a lot of him via media during hurricane season!